Today, we’re releasing Twitter #music, a new service that will change the way people find music, based on Twitter. It uses Twitter activity, including Tweets and engagement, to detect and surface the most popular tracks and emerging artists. And therein lies the first problem with this app. Popular music is, by definition, music that you’ve likely heard — or at least heard of — already. There’s also a suggested music page, but Twitter doesn’t have musical data aside from the users you’re already following. Some of the suggestions are so banal and predictable that it’s hard to see how this is a useful tool. 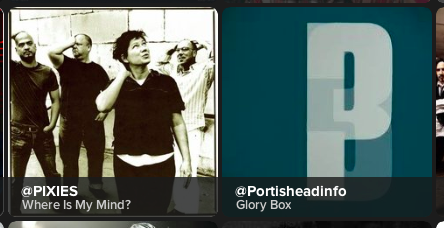 Does it really think I wouldn’t have heard of The Pixies or Portishead? Recommendation engines only work well with a massive amount of initial data, like an entire music library or a user’s purchase history. If Twitter were able to access my music library, it would know that I already have most of what it is suggesting.